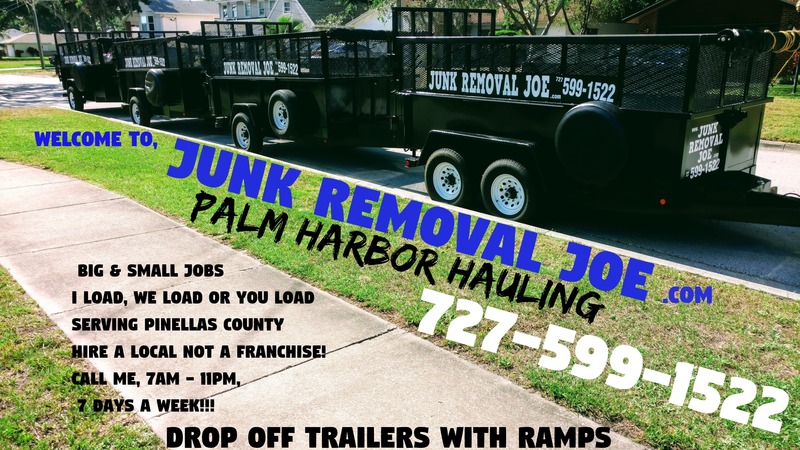 Want your junk and trash removed at a reasonable price? 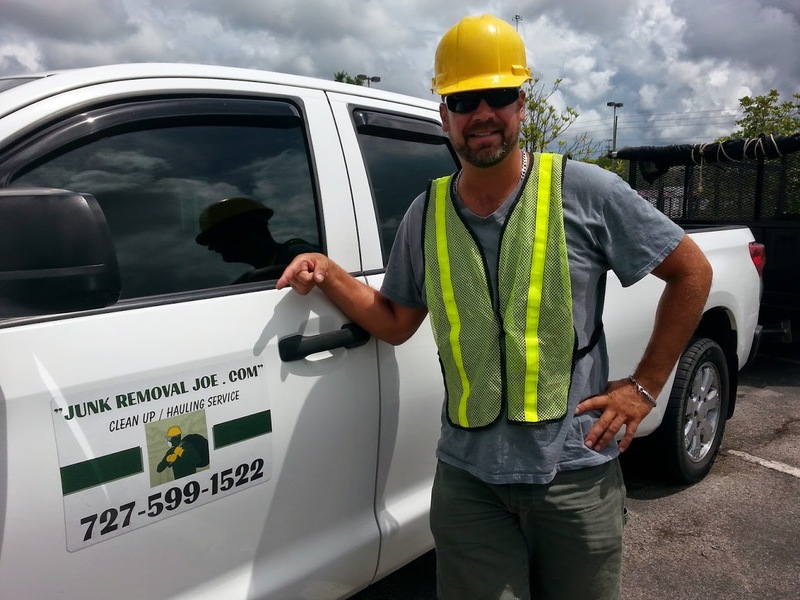 U Call – I Haul 727-599-1522 We load or you load, Drop off Trailers! Same day service in most cases! 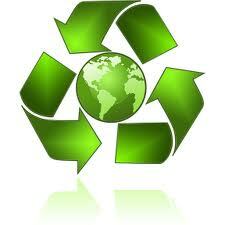 I haul away your junk, trash, clutter, construction debris, yard waste & more! Dispose of it properly and responsibly. I am based in North Pinellas County, Palm Harbor, Florida. Please see my service area page on this website for areas I service! Yard waste such as branches, brush, leaves, logs, & trimmings. 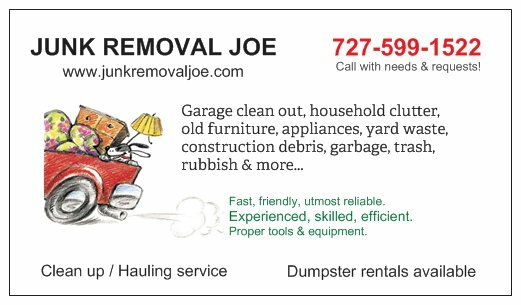 Clean out home, garage, shed, carport, backyard, office, self storage locker or business. Palm Harbor, East Lake, Ozona, Crystal Beach, Dunedin, Tarpon Springs, Oldsmar, Clearwater, St. Petersburg, Largo, Safety Harbor, Treasure Island, Seminole, Indian Rocks Beach, Belleair Bluffs, Pinellas Park, Westchase, and more. Just call to see if I’ll service your area!! !